Located on the west side of Fort Collins, the Quail Hollow subdivision has been popular due to many factors. The location, against the foothills and abutting two large parks makes it an attractive place for outdoor enthusiasts. The close knit community has many neighborhood functions, including the large community garage sale held the first weekend of June each summer. The lack of HOA fees collected does not lead to an unkempt look because of a respect for neighbors. 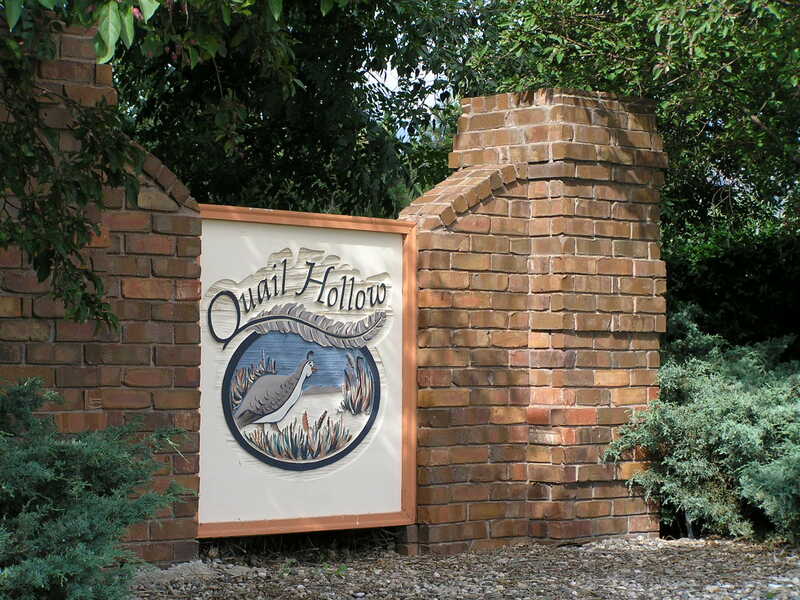 The first homes were built in the Quail Hollow subdivision in 1987, and construction continued into the mid 90’s, with a couple of empty lots filled as late as 1999. Currently the area is known for mature landscaping and larger lots. The most recent public record data shows that 93% of the homes in Quail Hollow are owner occupied. Shopping and services nearby includes a Safeway grocery store with a gas station, a hardware store, Walgreens drug store, Pringles Liquor, First National Bank, a florist, and several small restaurants. Also, just a few blocks north, there is the Holiday Twin 2 screen drive-in movie theater that plays first run movies. Running along the south-east edge of the neighborhood is the Spring Creek bike trail, linking residents to the entire Fort Collins Bike path system. The Spring Canyon community park and the Cottonwood Glen park both abut Quail Hollow to the south. For boaters, fishermen, hikers, and swimmers, Horsetooth Reservoir is just up the hill to the west. For running, hiking, biking or nature watching, the Fort Collins owned Pineridge Open Space is a short walk west.